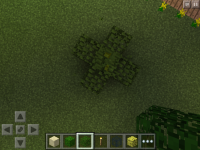 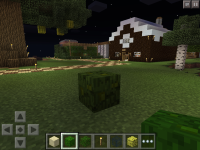 Surrounding jungle leaves with monster spawners or other transparent leaf blocks causes the jungle leaves to become invisible; therefore, this causes an x-ray effect to blocks adjacent to the jungle leaves. 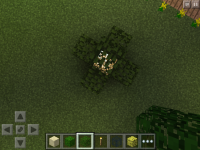 This bug can be reproduced in fancy graphics using both monster spawners and any other transparent leaf block to completely surround jungle leaves, or in fast graphics using only monster spawners to completely surround jungle leaves. 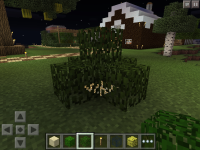 MCPE-8616 Jungle leaves are see through when other types of leaves are placed on them.